One of my hiking goals for 2018 is to complete the Southern California Six Pack Of Peaks Challenge. The challenge is to hike six of the highest peaks in Southern California. It was originally started as a way for people to train to hike the John Muir Trail. Making the trek up to the peak of a windy Mount-Baden Powell. Two of the peaks on the challenge have alternate peaks. For example, for Mount Wilson, you can substitute Mount Baden-Powell. Before starting with one of the main peaks, I thought it would be a good idea to do a trial run with one of the alternate peaks: Mount Baden-Powell. With my competitive nature, there’s no way I’m doing alternative peaks for the actual challenge itself. But I did think that it would be a great idea to try one of the alternative mountains as a gauge to see if my level of fitness was ready for the challenge of the other six peaks. I also thought doing an alternative peak would be a great way to see what the weather conditions would be like at higher elevations. 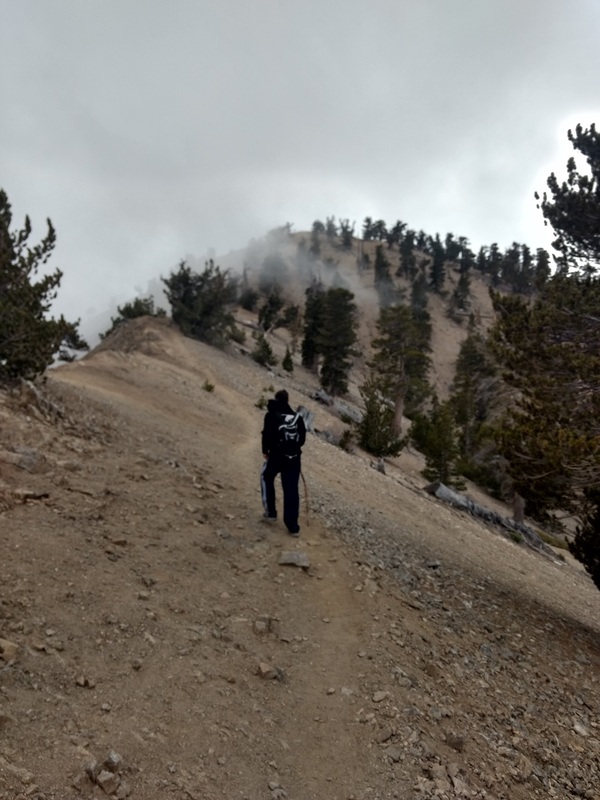 According to All Trails, Mount Baden-Powell is rated as hard. In my opinion the only thing hard about it is the distance and the altitude. The trail is at a mild grade with sections that aren’t very steep. The trail is also in great condition and made mostly of a dirt trail cut into the mountain with some loose rock. It took me about four and a half hours to complete the 8.6 mile hike. As I mentioned, the trail is a pretty mild incline. Water is going to be your best friend on this trip. I took a sandwich (because I love enjoying nice views and having a lunch) but it wasn’t a necessity. I think that a person could easily get by with some fruit and a protein snack of some sort. Alright, so I realized a few things on this trail. Hiking up to a 9,000 foot elevation wearing just a hoodie with windy conditions wasn’t going to cut it. At the very least, if I’m going to be hiking tall peaks in the middle of winter – even in Southern California – I’m going to need some gloves and a thicker jacket. Next time I’m going to forget the hoodie at home. NextA Guide To Hiking Skill Levels – What Type Of Hiker Are You?